You are here: Home / Comics Guides / Best of Lists / The Best Venom Comics To Read With Venom (The Movie)! 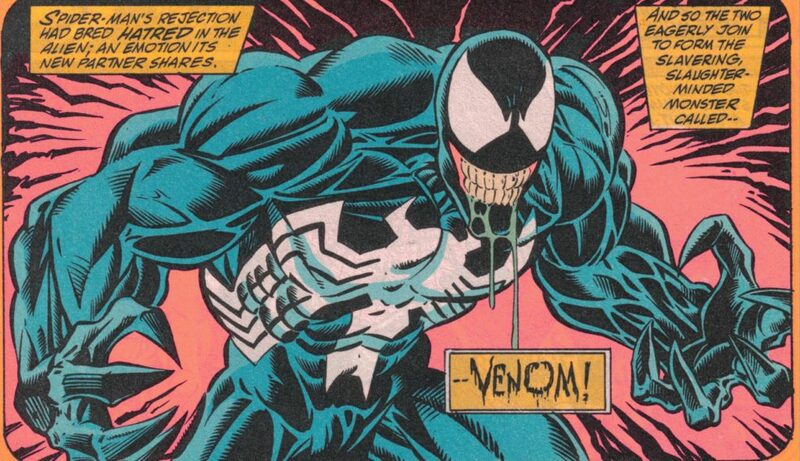 Since his true debut in the pages of Amazing Spider-Man #300, Venom has easily held the title of coolest, most iconic Spider-Man villain of the 1990’s. The instant fan favorite has oscillated between anti-heroic and villainous stature since that time, with a whole host of, well, hosts giving the sinister symbiote a variety of fascinating comics. Below you’ll find a guide to the best and most memorable Venom comics, with an eye towards different takes on the character. Spider-Man: Birth of Venom Issues: Secret Wars #8, Amazing Spider-Man #252-259, #298-300 & #315-317, Fantastic Four #274 And Web Of Spider-Man #1 While you don’t necessarily have read how the Venom symbiote finds its way into Spider-Man’s life, it adds a lot of enjoyable color to the mythos and development. Spider-Man: The Vengeance of Venom Issues: Amazing Spider-Man #332-333, #346-347, #361-363 And #374-375, Spider-Man: The Trial Of Venom, Amazing Spider-Man #373, #388 and Annual #25-26, Peter Parker, The Spectacular Spider-Man Annual #12, And Web Of Spider-Man Annual #8 Venom: Lethal Protector Issues: Venom Lethal Protector #1 – #6 Venom’s first major miniseries sets the tone for most attempts on the character as a standalone entity. Identifying (correctly) that Marvel had something more than a mere Spider-Man villain, “Lethal Protector” casts Venom in the popular 90’s mold of vengeful hero vigilante. Venom by Rick Remender: The Complete Collection Volume 1 Issues: Venom (2011) 1-12, Venom/Deadpool: What If? 1 Venom by Rick Remender: The Complete Collection Volume 2 Issues: Venom (2011) 13, 13.1-13.4, 14-22 The full run of the series now known as “Agent Venom” is one of the best development’s in the character’s history, tying the symbiote to longtime Spider-Man role player Flash Thompson. If you’re less interested in the hulking monster of the late 90’s and want to see how Venom can be reinvented for a new generation of readers, this is the series to start with. 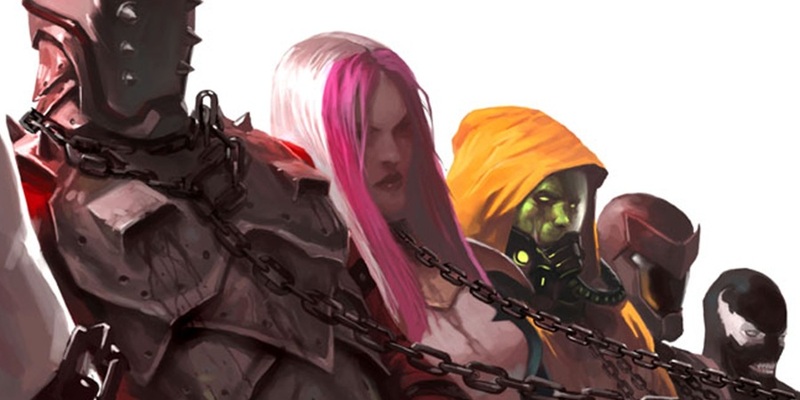 Thunderbolts – Volume 1: No Quarter Issues: Thunderbolts #1 to #6 Far from perfect, but this Marvel NOW! era Thunderbolts series is semi-underrated, and stars Flash as Venom alongside the likes of Punisher, Elektra, Red Hulk and Ghost Rider. Superior Spider-Man Volume 5: The Superior Venom (Marvel Now) Issues: Superior Spider-Man 22-26, Annual 1 During his takeover as the Marvel Universe’s “Superior Spider-Man,” Otto Octavius finally runs into Venom, and faces the temptation of the symbiote. Venom: Space Knight Vol. 1: Agent of the Cosmos Issues: Venom: Space Knight #1 to #6 Following a stint with the Guardians of the Galaxy, Agent Venom spends some good old fashioned time in space, a true Marvel rite of passage. 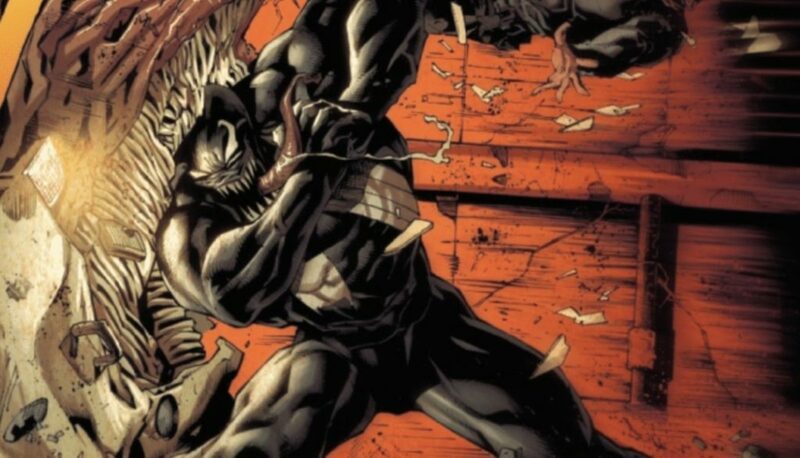 Venom by Donny Cates & Ryan Stegman Issues: Venom #1 to #6 The 2018 ongoing Venom series launches as part of Marvel’s “Fresh Start” is already a top tier title for the publisher. I just saw the movie, it’s way better than I was expecting with the reviews and things I’ve heard, once he actually starts becoming Venom (the set up is a little blah). One thing I notice that they aren’t really advertising is that Venom and Eddie Brock’s relationship and conversations are kinda fun/funny. Is that just something they did cause the Deadpool movies were successful, or is there a version of Venom where he’s fun/funny that I could check out? Cool, thanks a bunch. I got Birth of Venom, and I’ll check out Lethal Protector next.